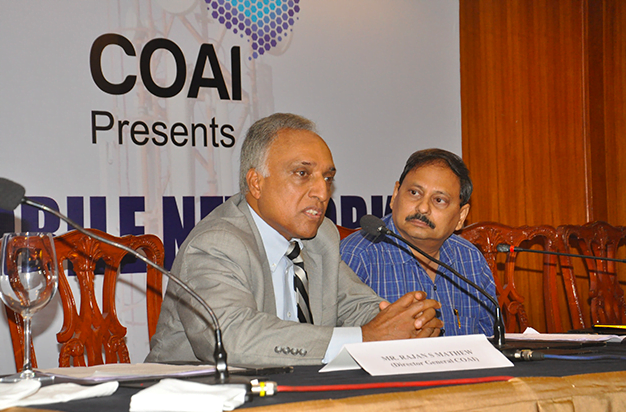 The Cellular Operators’ Association of India (COAI) today asked the Trai chairman to outline his major focus areas and priorities for the next two years so that the industry can look to “predictable” and stable regulatory environment” crucial for growth. The comments of COAI – which has, in the past, been severely critical of major Trai decisions under Sharma’s watch comes against the backdrop of re-appointment of Sharma as the chairperson of Telecom Regulatory Authority of India (Trai) for two more years. When contacted, Sharma declined to comment on his re-appointment. Meanwhile, the COAI said the sector’s financial health, focus on 5G and challenges on spectrum pricing and pesky call rules need to be urgently prioritised from an industry standpoint. “It is up to the Trai chairman to articulate what his major focus areas will be in the next two years so the industry can look for predictable and stable regulatory environment essential for growth and attracting investments,” COAI Director General Rajan Mathews told PTI. Mathews said the industry is seeking from the regulator a relationship of “trust, information sharing and predictability”. “We would want Trai to clarify some of the challenges we are facing on the implementation of pesky call rules. We want to discuss the outstanding issues with Trai,” Mathews said. The COAI had raised a red flag over Trai’s new regulations on curbing pesky telemarketing calls and messages, saying tailoring of systems, and use of blockchain technology will involve Rs 200-400 crore investment and 18 months for the rollout, at a time when the sector is financially-stressed. However, Sharma had told PTI yesterday in an interview that “reasonable time” has been given to telecom operators on the issue and that the norms came about only after a prolonged discussion with the industry. “It is not the knee-jerk reaction of Trai…,” Sharma had said. In the past, Trai’s decisions, ranging from slashing of the call connect charges, to its stance on the provision of points of the internet (sought by Reliance Jio at the start of its services), and predatory pricing rules have been slammed by older operators like Bharti Airtel, Vodafone and Idea Cellular. Earlier this year, Trai’s predatory pricing rules sparked off a furore as established players, and the trade body criticised the new norms. The COAI had indicated that the order distorted the market, placing all operators, except one (it had not named Reliance Jio) at a serious disadvantage. Sharma stood his ground all through and maintained that while he takes telecom industry’s ‘fair criticism’ in his stride, the levelling of allegations of bias without any proof bothers him as it discredits and lowers the institution’s esteem. The fiery Trai chief also engaged in a verbal spat with the Twitterati late last month over potential misuse of Aadhaar. Sharma had disclosed his unique ID number on the microblogging site and asked people to show how mere knowledge of the number could be used to harm him. The move had caused a social media flutter, and a tsunami of tweets had ensued in the aftermath of the Aadhaar dare. Sharma yesterday said that no information was “discovered” about him on account of sharing of Aadhaar number, but had conceded that one of his takeaways from the episode had been that social media was not a suitable forum to discuss complex policy matters.